I am back to reality after the AQS show. I decided to get back to work on the whole cloth quilt that started in November…..I want to finish this soon because there is an October 8 deadline to enter the AQS phoenix show. I honestly donet know if I will be able to finish it that fast, but it is nice to have a goal. 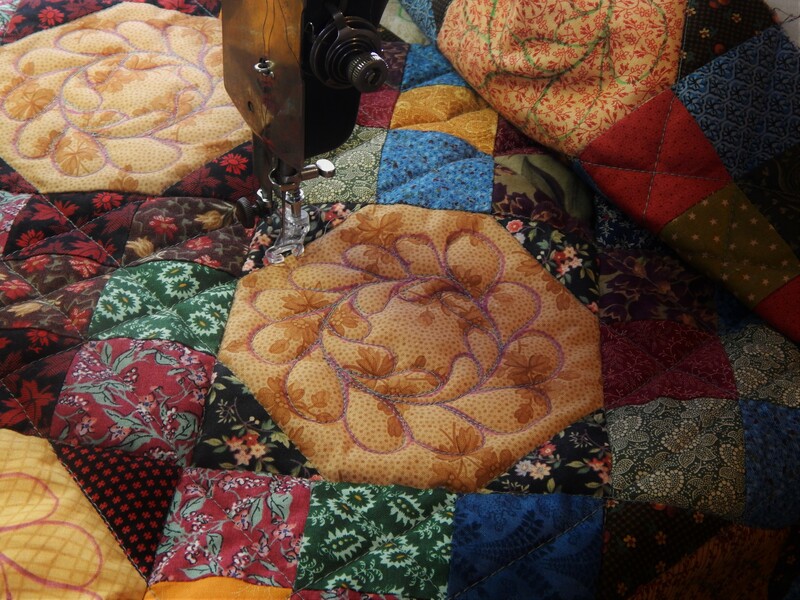 This entry was posted in Quilts and tagged hand quilting, Quilting, Quilts. 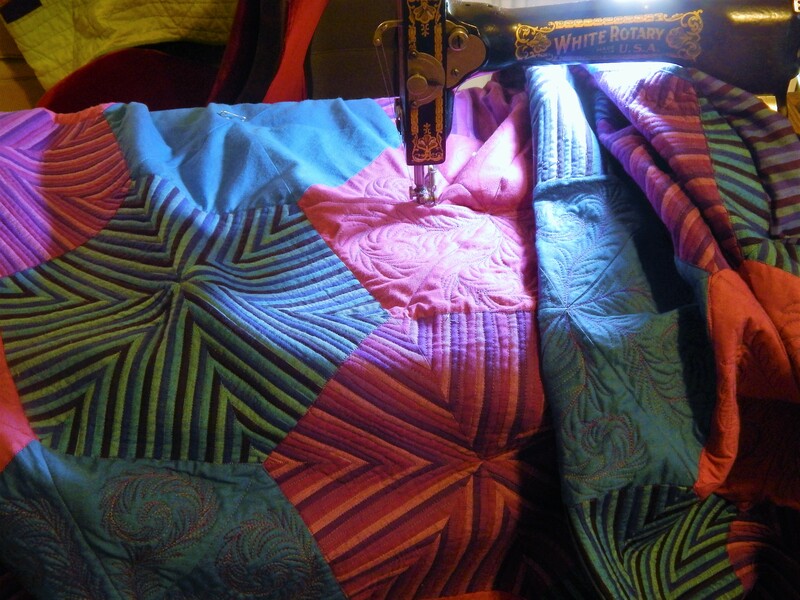 Your whole cloth quilt is just another ribbon winner in the making! 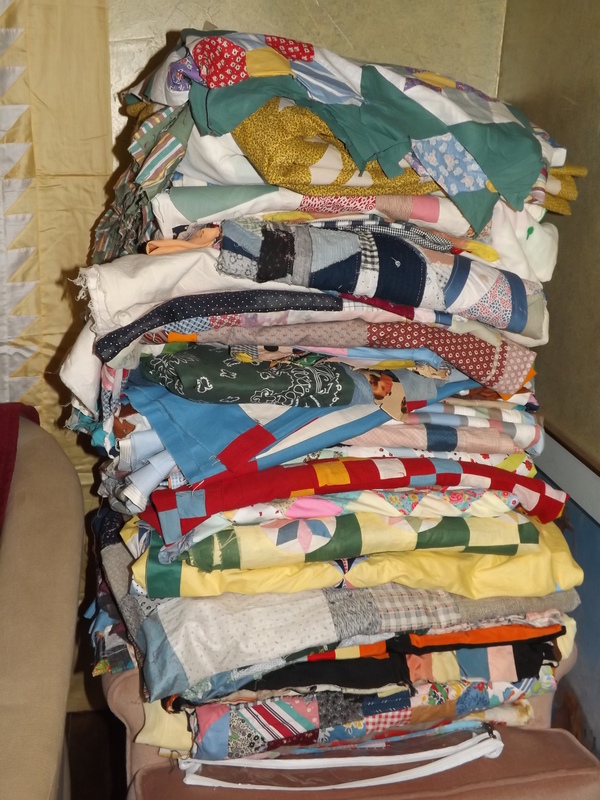 That’s quite a pile of quilts waiting in line, but put that polished cotton one on top, it will be stunning! I was going to ask when you planned on inishing it? I can’t wait for it to win, it is just simply so gorgeous! 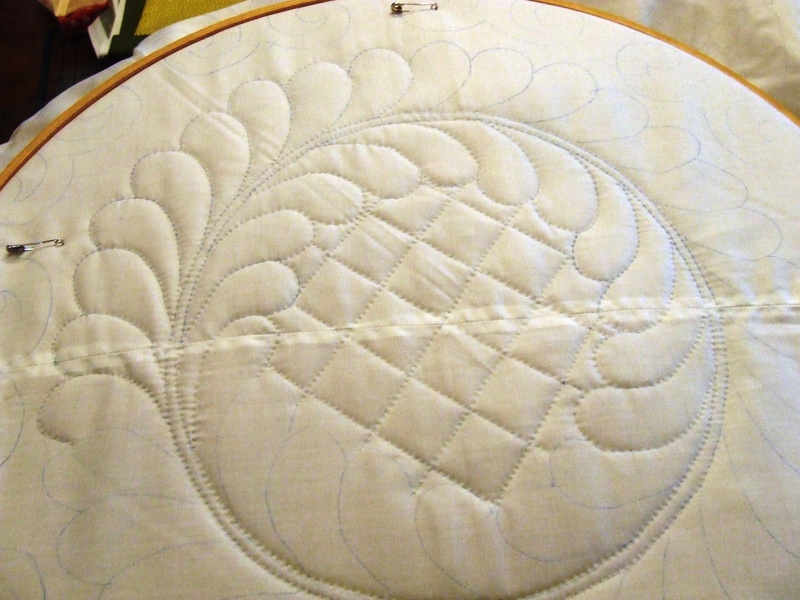 Your new quilt top is going to be stunning when quilted, it is so hard to find polished cotton today! 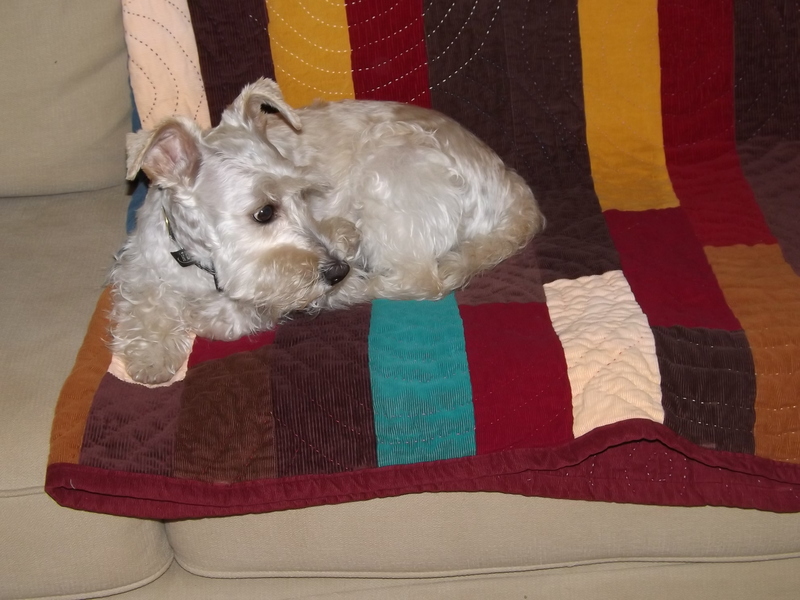 I think that animal shelters might be happy to have a corduroy quilt…of all the quilts I have made this one seems to be his favorite…I think it is the texture and feel that he likes…..
Teddy has great taste. What’s not to love about corduroy? 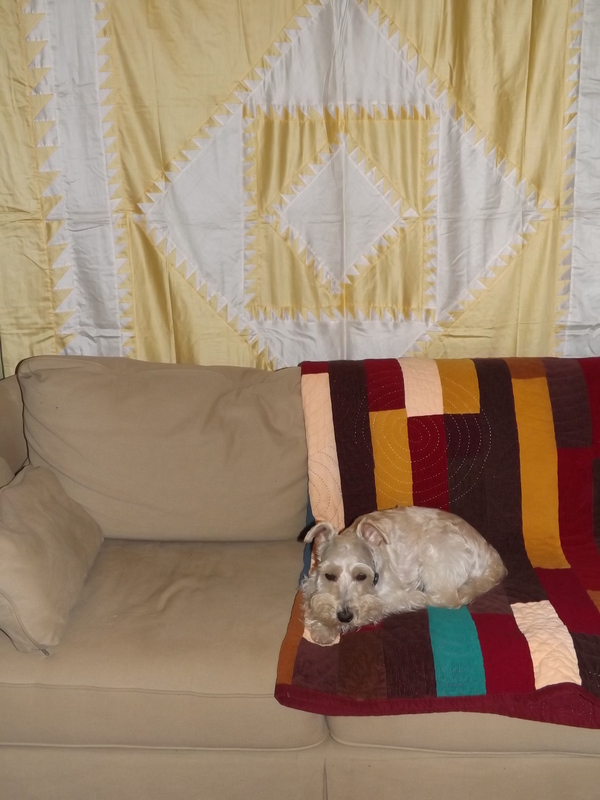 I agree with everyone else, your wholecloth quilt is a winner in the making and I just love your latest purchase. Yellow and white is one of my favourite colour combinations and I’m looking forward to seeing how you quilt it. Would cotton sateen work with the polished cotton? 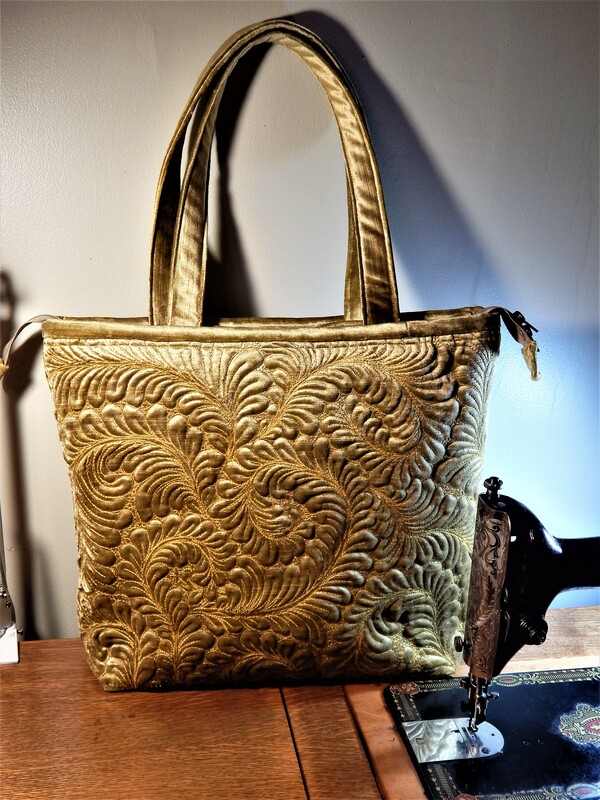 Thanks Kim….i think Sateen would be a good backing for this, I also rarely see it for sale, But It might be just the thing…wither yellow or white would work. 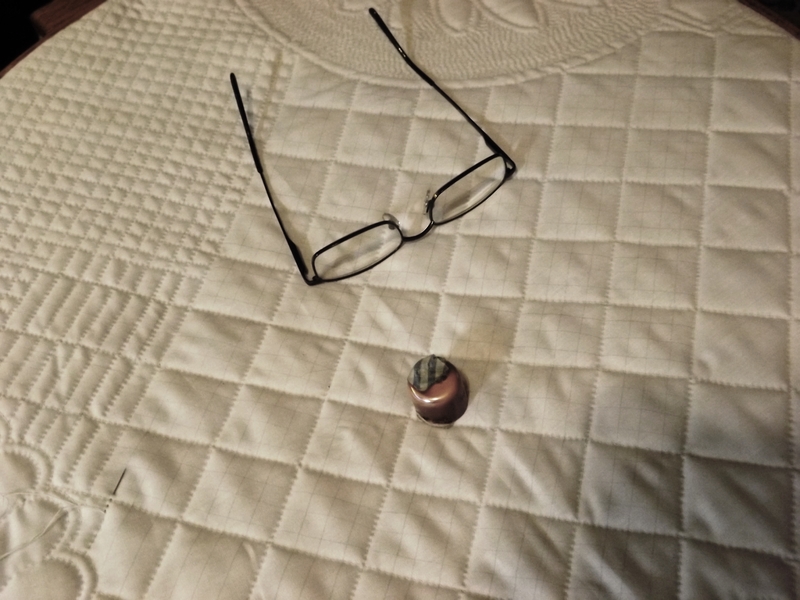 I think I want to do a lot of quilting, much like the whole cloth I am doing now…I think the sheen of the fabric will really make the quilting stand out!